I have now been home from India for a month and am improving very fast. I no longer suffer the horrible pains and spasms in my legs that used to keep me up in the night for the last 8 years. The pains from healing are little compared to what I used to have. I am still behind in catching up with pictures and info to new donors of our kids. Please be patient as I do hope to get it all organized soon. There are many changes with people coming and going here at YES. The West family who came here last year in December will be headed home this December. Daryn West will still be active with YES work with fundraising, managing the website, coordinating any short term mission groups and travelling to donors from different countries. I’ve really enjoyed having them here and will miss them dearly. They are a wonderful family with big hearts and they made a big impact on YES and in the lives of the children at MRH. 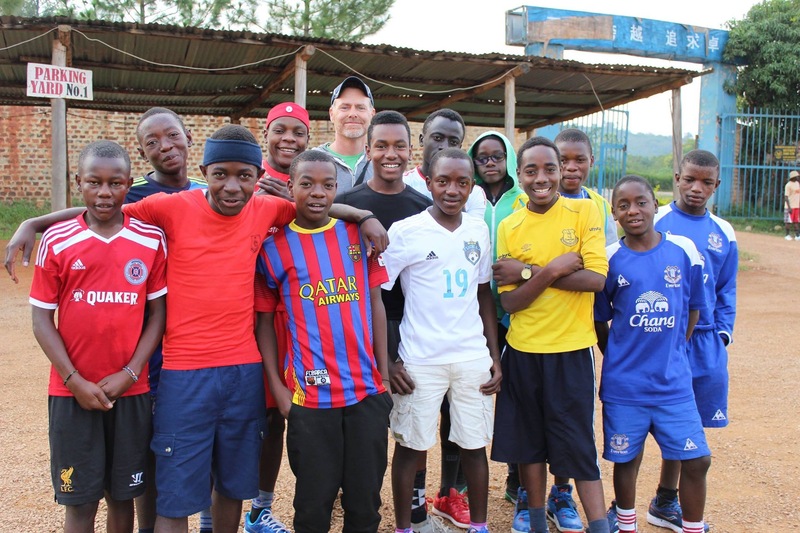 They started a running club for the boys at the rescue home and in September, Daryn took the whole team of runners across the country to Jinja, Uganda, for the team’s second big race! He will continue this ministry when he makes trips back to Uganda. 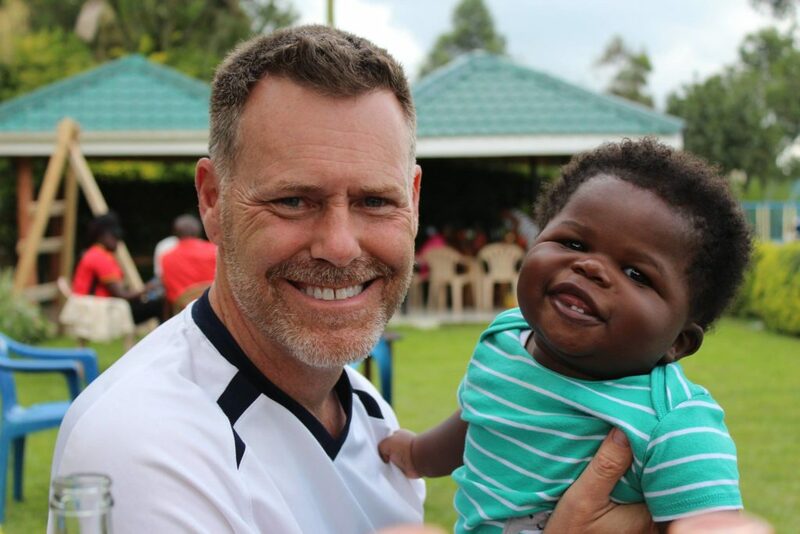 This past year my assistant David had a relative that died in child birth and the West family agreed to take care of the baby until the dad was able to take him. 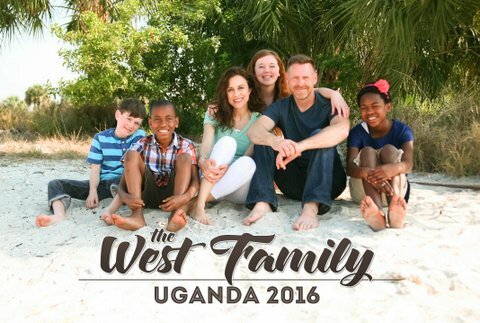 Unfortunately, the dad was murdered but now the Wests are in the process of adopting the baby! I’m glad they will still be working for YES but they will be missed by many here. “Warm greetings to you in the name of our Savior Jesus Christ! My name is Dawn Howard, and I am happy to tell you a little bit about myself and my calling to serve at Y.E.S. I am a Christian, 45 years of age, unmarried, and do not have children. At a very young age I knew that God had placed on my heart a deep desire to care for His children. I am a member of CrossWinds Church and have served in their special needs child ministry. In 2002 I completed a Montessori teaching certificate program and taught ages two to seven at the Berkeley Family Montessori school. In my August newsletter I told you about a family we became involved with some months ago. 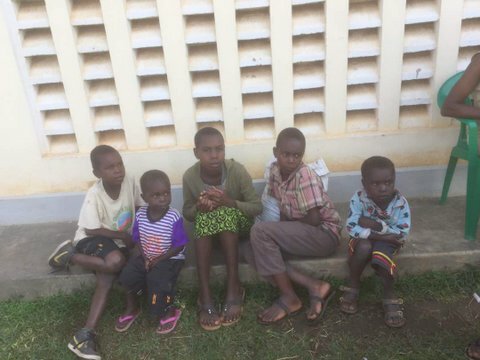 Five children came to the office telling us that they had been abandoned for many weeks and had not seen either parent. The oldest was a 13 year old girl with the youngest two being 4 and 5 years old. We involved the Uganda child welfare department of the police and it was discovered that their father was a heavy drinker and also suffering with AIDS. The mother had a young baby but was fearing for her life because her husband beat her badly. She had been sending food for the kids through neighbors. The police found the husband and ordered him to return to the home and care for the kids but after two weeks he committed suicide. The mom has now returned to her family and is struggling to care for all 6 children by doing some manual labor on other people’s land and she has also planted crops on her small plot for food. 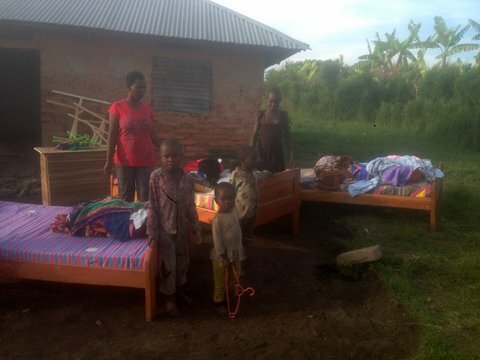 We bought beds, mattresses, blankets and many needs with a generous contribution we received from a well wisher. They had absolutely nothing and were sleeping on the mud floor. We have also sent the 3 oldest children to school. The mom is very very grateful and loves her family. We would love to have any interested person sponsor a child from this family. 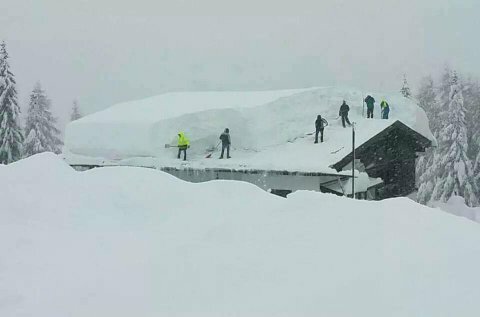 We face many challenges here in Uganda, but at least we will not be facing snow loads on our buildings.☺ I wish everyone in the US a great Thanksgiving holiday and in other places a good autumn season!